If your company hosts a variety of events, it’s likely that they’re planned and executed by different departments. But departments might have different objectives, with differing budgets and administrative procedures. Expenses can easily slip through the cracks. Furthermore, it can be difficult to gauge whether or not your events are returning profit when each event has a unique end goal. GoGather can assist your company in creating a centralized program for meeting and event planning. Before you know it, you’ll be cutting costs and conducting more efficient, profit-generating gatherings. Our SMMP-certified consultants will work with you to boost your returns on investment. SMMP stands for “strategic meetings management program”. It’s an an innovative approach to meeting planning that has taken the business world by storm. Previously, SMMP was developed only for large corporations, but in recent years, advancements have made them suitable for small businesses, too. Our team uses the GoGather Blueprint to help you develop an SMMP for your business. While an SMMP is partly an analytics-based approach to meetings management, we also use holistic methods to craft a personalized program that best suits your company. We’ll begin by coming to a personal understanding of your business—your culture, your market, your goals, and the state of your company. Then we’ll help to create an SMMP that adheres to your existing company policies and regulations. High profit should be your bottom line. Our strategic meeting solutions will help your company make more money at less cost. 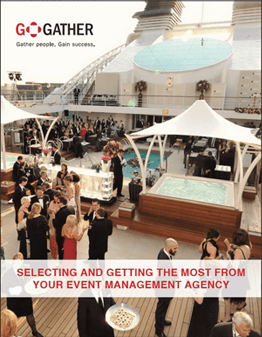 GoGather’s SMMP-certified experts will help you reduce event risk and execute high-impact events. The event was more complicated than anticipated. GoGather’s best practices in managing people and schedules enabled us to overcome all the challenges. GoGather innovates and contributes to the bottom line with everything they do. Their event strategies produce the ultimate in results, the best I’ve seen in 20+ years as an executive. This team understands how to mix creativity, strategy and structure to efficiently achieve success while always keeping a firm grasp on financial results.